I am trying without much success to log wideband data through a serial port adapter. AEM's instructions say to connect pin 2 to the blue wire from the wideband controller and pin 5 to ground. 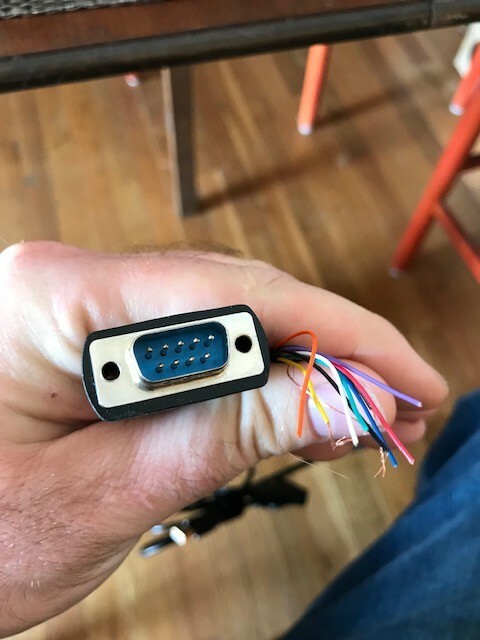 I used a continuity tester to map the wire colors to the pins on the male serial cable. Pin 2 is yellow and pin 5 is brown on my cable. In VCM scanner, I added a channel for a serial input. There is a pre-defined one for AEM - AFR, which I chose. When I go to log the car, the channel disappears from the list. From searching, I understand that means the channel isn't reading correctly. I tried right clicking on the channel and using transform to specify the model of wideband controller. There is a preset for AEM 30-(30x0, 2340, 5130), but that doesn't seem to change anything. I'm stumped on why it's not working. Assuming from wiring set-up on page 2 you have Pin 5 (black) grounded to vehicle/battery ground? Also might determine if you have more than com port 1 and the com port setting needs to be changed to 2,3,4. Not sure how many com ports your computer has and what com port you may be attached to. Look in device manager to see there are any errors/missing drivers. If computer has a com port. You might wire by connecting by com port (9 pin DB-9) and not USB? That would be easier. The diagram shows com port (DB-9), not USB. Not sure if this would matter, but in this day and age one would think they would show USB if that's what they intended for the connection. Picture three/last picture is the cable you want to use for com port on computer. 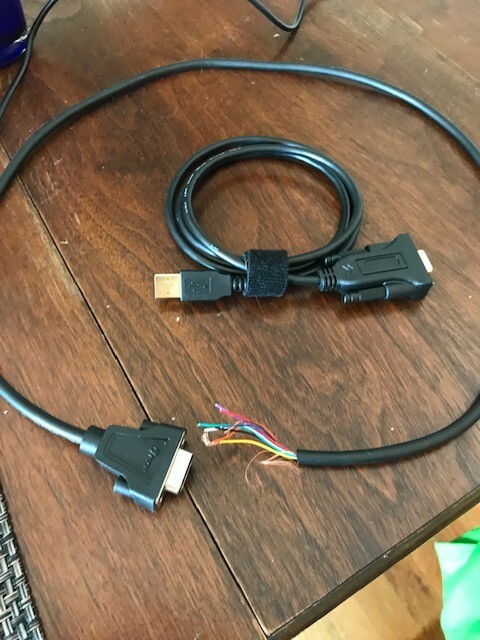 If you are using USB on computer, the terminals must line up all the way thru the harness from USB terminal 3 to the DB-9 terminal 2 wire end and USB terminal 2 to DB-9 terminal 5 wire end. The USB on your coiled cable in picture 1 doesn't necessarily line up with terminals 2 and 5 on the DB-9 end. I added a diagram for the four (4) USB terminals. The two center terminals are 2 (-) and 3(+). The two outers are 5-volt power and ground you don't need to hook up to anything. Sorry for all the info., just don't know how you computer is configured.